Abuja Events and Places (AEP): CrossOver Jam 2016 Starts At 5pm Today, Don't Miss This! CrossOver Jam 2016 Starts At 5pm Today, Don't Miss This! It's Happening TODAY in ABUJA. It's The Official Countdown To 2017. It's An Official Movement Into The New Year. It Comes With The Thrills N Fun. Countdown. Amazing Red Carpet Spot. Musical Performances. Comedy. Dance N Even More. 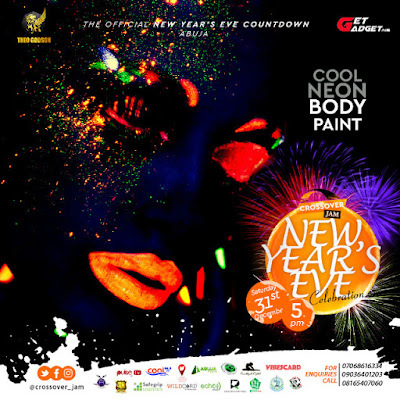 VENUE: Tobix Garden, Along Next Cash N Carry road, Banex-Gwarinpa Expressway. Proudly Supported By Abuja Events And Places.